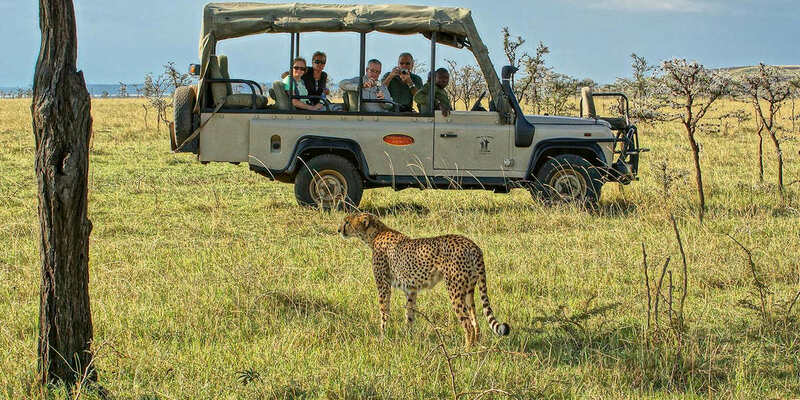 Kenya – with the renowned destinations of Masai Mara, Samburu, Laikipia, Amboseli, the Great Rift valley, and Tsavo - a complete safari experience in one country. Kenya has breathtaking landscapes, spectacular wildlife and a rich cultural heritage. Kenya , more than any other African country, epitomises the image of Africa . The vast open plains of the Masai Mara are the images that most of us have of Africa. It is the home of the traditional 'African safari' as immortalised by Hemingway, Roosevelt , Finch-Hatton and others. Kenya boasts not only the Masai Mara but great names like Amboseli, Samburu, Laikapia, Meru, Tsavo, Nakuru, Mount Kenya along with the famous wildebeest migration and the open waters of Lake Victoria, not to mention Mombasa and the stunning east coast. Wherever you choose to travel in Kenya you will encounter spectacular scenery and wildlife as well as a wonderful vibrant and energetic people. Fly-in itineraries or private vehicle + driver guide, mobile tented or horse riding are just a few of the many safari options available. Just 390 kms from Nairobi in the south-west corner of the country, lies a vast rolling plain beneath the Mara escarpment striped back once a year by millions of wildebeest and zebra migrating north from the Serengeti plains. During the annual wildebeest migration (from late July to Nov) the reserve's resident lions lounge prominently in the sun, fat and seemingly placid. Maasai tribes people live on the reserve's fringes and are co-owners of the reserve, sharing in revenues from tourism. This reserve is one of Africa's premier wildlife destinations, and boasts all the big game species. Besides the normal safari activities, it is also possible to go hot air ballooning across the plains, a unique and wonderful safari experience. Situated in the more arid region of northern Kenya, Samburu is an altogether refreshing experience. Not only is the landscape quite unlike elsewhere in Africa it also boasts some of the most distinctive and unique of its wildlife - from the alarming Vulturine Guinea Fowl and cartoon-book appearance of the Reticulated Giraffe and Grevy's Zebra, to the perfectly adapted Gerunuk and Beisa Oryx. In truth the Samburu region encompasses not only the Samburu but also the Buffalo Springs and Shaba National Reserves and also includes the adjoining grasslands and thorn scrub of Laikipia, Loisaba and Lewa Downs extending to the foothills of Mount Kenya. With the beautiful Ewaso Ngiro river running through the region and with its characteristic landscape of stunning acacia forests, doub palms and distant hills, the Samburu region is more than just well worth a visit. At 21,000 sq kms, this is Kenya's largest park by far, although much of the eastern section is closed to the public. The landscape comprises mostly open savannah and bush woodlands, inhabited by buffalo, lion, antelope, gazelles, giraffe and zebra along with large herds of elephant. Tsavo is a combination of dramatic escarpment landscapes combined with the raw, untamed flavour of one of Africa's great wilderness areas. At Mzima Springs, in Tsavo East, crystal clear water bubbles out of the ground at a rate of 500-million litres (110-million gallons) a day. The spring is fed by snow melt off Mount Kilimanjaro, and a pipeline from the springs provides Mombasa with a large portion of its drinking water. Amboseli National Park (Amboseli means "salty dust" in the Maasai language) is an arid region fed by underground water channels that run down from Mount Kilimanjaro. The mountain itself making a spectacular backdrop wherever you are in the park. The vista of elephant grazing on the plains below the snow-capped peak of Mt. Kilimanjaro is one of Africa's most stunning. Laikapia, including Lewa Downs, was once a series of large private cattle ranches and traditional grazing land.Changing times and fortunes have seen these vast, spectacular tracts of land turned into successful wildlife and conservation areas. Local communities and private ranchers work together to conserve both wildlife and traditional lifestyles and cultures - creating stunning eco-tourist destinations using only natural building materials and features. Beautiful private homesteads can be found amongst herds of antelope, roaming elephant and rhino conservation areas. An ideal area for camel trekking, walking, riding and biking along with traditional game viewiing. Once part of Kenya's old Northern Frontier District, Meru National Park is perhaps the least visited of all Kenya's parks. Wildlife is not as abundant as in other places, but this is a spectacular land of kopjes, streams, baobab trees and riverine forests. It is certainly one of the prettiest parks in Kenya and boasts many of the same species as Samburu - Grevy's Zebra, Reticulated Giraffe, and Gerenuk - but without the crowds! To walk with a professional guide through the bush, stopping en route for 'sundowners' on a rocky outcrop, is to experience raw wild Africa at its most alluring. Meru was also the former home of George & Joy Adamson who helped to return orphaned lion cubs to the wild, in particular Elsa of Born Free fame. Kenya offers both fly-in and private vehicle + driver/guide safaris. This is also the home of traditional mobile tented safaris and has become extremely popular for horse riding safaris and ranch stays. 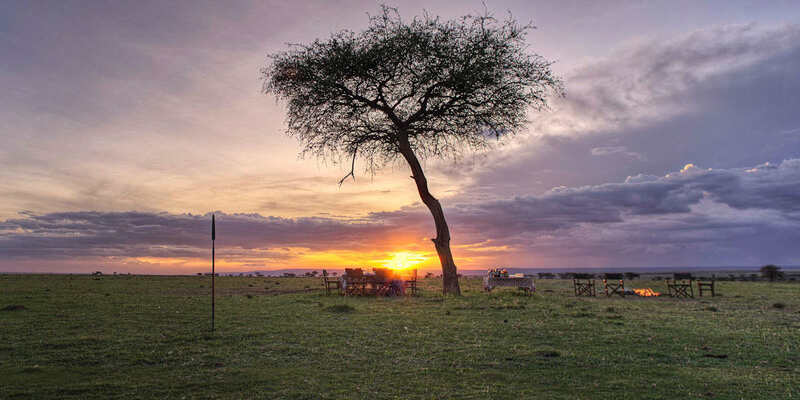 Scheduled daily flights connect Nairobi to Samburu, Amboseli, Meru and the Samburu region and this is more often the recommended way to get between parks and game reserves. Kenya's roads are not the best but some routes are well rewarded by using a private vehicle and driver/guide. This gives you the added bonus of seeing the landscape from the ground, stopping to meet the people and visiting some of the lesser known attractions - like Lake Nakuru, Mt Kenya and the Aberdares. Perhaps a combination of the two if time allows. This is a wonderful way to experience a country like Kenya, with the added advantage of an experienced and knowledgeable guide throughout. Kenya has always been child (and family) friendly, with children's programs and discounted rates for children under 12 years. The private vehicle + driver/guide style of safaring lends itself well to families and offers maximum flexibility for all ages. With an expansive choice of riding locations from Tsavo and the Masai Mara to Laikapia and Meru NP. There are also a number of private game ranches that offer horse riding and a more exclusive safari experience. 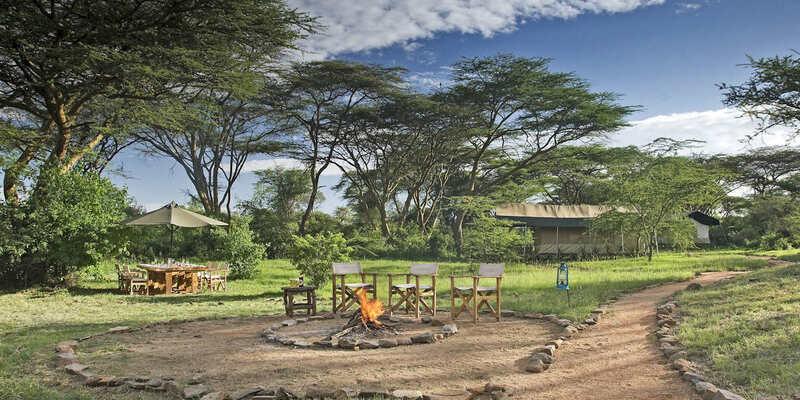 Walking is offered as an activity at a number of safari camps and lodges, although it must be said that Kenya is not generally regarded as a walking safari destination. Ask us for our recommendations. Like many countries in Africa, Kenya offers the avid 'birder' many exciting opportunities. Mount Kenya certainly offers excellent hiking (and climbing) should you be seeking these more active adventure persuits. There are around 70 distinct ethnic groups in Kenya, ranging in size from about seven million Kikuyu to about 500 El Molo who live on the shores of Lake Turkana. No ethnic group constitutes a majority of Kenya's citizens. It is this magical blend of modern life coupled with deep-rooted traditions and diverse cultures that makes Kenya such a fascinating country and its people so enchanting. A proud and independent people of the Nilotic ethnic group, the Maasai live in southern Kenya and northern Tanzania along the Great Rift Valley on semi-arid and arid lands. The Maasai are semi-nomadic pastoralists - rearing cattle and travelling to reach new grazing pastures. The cattle are fundamental to the tribe's survival and the Maasai believe that their God 'Enkai' granted all cattle to them for safe-keeping. The Samburu live just north of the equator in the Rift Valley province of Northern Kenya, where the foothills of Mount Kenya merge into the northern desert. They are related to but distinct from the Maasai. The Samburu are semi-nomadic pastoralists who herd mainly cattle but also keep sheep, goats and camels. The Samburu are extremely dependent on their animals for survival. The Turkana are nomadic pastoralists who live in northwest Kenya in a hostile desert region bound by Uganda, South Sudan and Ethiopia. In 1975 the lake was named after them. For centuries, they’ve spent their lives herding goats and cattle and now, due to a serious drought, desert-hardy camels. The Rendille tribe live in the climatically harsh region between the Marsabit hills and Lake Turkana in Northern Kenya. Rendille are semi-nomadic pastoralists whose most valued animal is the camel. The original home of the Rendille people was in Ethiopia. They were forced to migrate south into Kenya because of their frequent conflicts with the Oromo tribe over pasture and water for their animals. The Pokot people live in the Baringo and Western Pokot districts of Kenya and also in the Eastern Karamoja region of Uganda. The Hill Pokot live in the rainy highlands in the west and in the central south of the Pokot area and are both farmers and pastoralists. The Plains Pokot live in the dry and infertile plains, herding cows, goats and sheep. Lake Baringo is the traditional home of the Njemps tribe (thought to be related to the Maasai), a unique pastoral tribe who also fish. Among other pastoral tribes such as the Maasai and Samburu, eating fish is a taboo. Nairobi acts as the tourist hub for most safaris in Kenya (with Mombasa and the east coast making an excellent add-on to your safari). It is worth noting that the domestic airport (Wilson) is on the other side of town to the international airport (Jomo Kenyatta) and a good 45 minutes to an hour needs to be factored in when making onward connections! Nairobi (and surrounds) does have a number of attractions worth your consideration - including the Giraffe Centre, David Sheldrick Elephant Sanctuary, the Karen Blixen Museum, the Natural History Museum and others. So it is worth considering an overnight stay (or two) if you have had a long flight - some relaxation and recuperation with options of places of interest to visit. There are a number of excellent city hotels and even one or two safari camps/lodges within easy access to the airport. Kenya combines well with Tanzania, Uganda and Rwanda. In the Masai Mara, wildlife viewing is genuinely spectacular all year round, but of course from July to September there is the added spectacle of the wildebeest migration which is a very special time here. Weight restrictions apply to scheduled flights within Kenya - generally 15 to 20kgs ONLY. 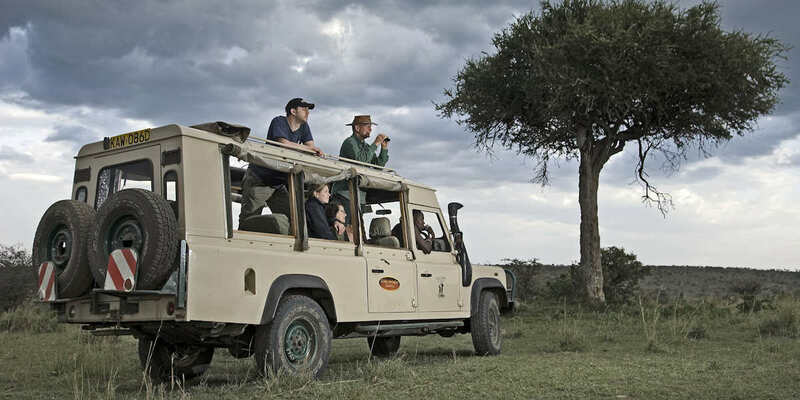 Mobile tented safaris are generally 10 to 14 days. Visas can be obtained on entry. Check your itinerary prior to arrival in case you might require a multi-entry visa (and request accordingly).